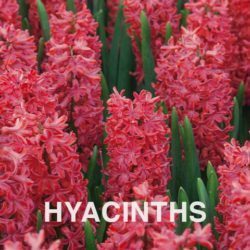 Many popular bulb plants, such as Tulips, Daffodils and Hyacinths are best planted in the fall. Here are some tips to help you get the most out of your bulb investment. Since the food the plant needs to flower in spring is contained in the bulb already if you have quality, healthy bulbs to work with, you can choose to plant new bulbs every year to (almost) guarantee a spectacular display in spring. This is what they do in the bulb area at Missouri Botanical Garden where I took my Master Gardener Training. If you are interested in your bulb plantings lasting for several years, try to match the species of bulb you’re planting with the light and moisture conditions in your garden so that the plants can make enough food for next year. For example, in my garden Daffodils do not get enough sun to have produced flowers after the first year I planted them. They’ve survived for over a decade now and grow foliage but there are no flowers. I’m leaving them be because some of the trees in my area are sickly and if they are ever taken down my bulbs might flower in the future. If they don’t, the foliage is better than empty space and it’s ephemeral so they’re not in the way. But that’s not the most satisfying way to enjoy bulbs! Bulbs need a lot of Potassium in the soil but low Nitrogen and mid-level Phosphorus. A fertilizer regimen that is suitable for onions will also work for bulbs. For spring blooming bulbs, apply fertilizer in late fall. Soil with good drainage is very important for bulbs. If your soil does not drain well as is, the product Turface is recommended to improve the soil structure. You could also try planting in raised beds filled with well-draining soil. As you decide what bulbs to plant where in your garden, also consider what plants could “take over” for the bulb plants once the foliage dies down and the bulb plants go dormant for the summer. This is called succession planting. 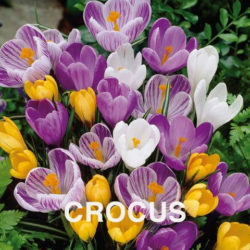 You could wait until spring and work annuals in among the bulb plants or you could plant them with a perennial that is late to get started in spring or is not so aggressive that it will out-compete the bulbs. Bulb plants look wonderful emerging from low groundcovers. You’ll want to take into account height, foliage colors and texture, bloom colors and bloom times as you plan your bed. Keep good records of what you did because it’s really easy to forget the location of ephemeral plants! You could also try interplanting fall-blooming bulbs to remind you where the bulb areas are when the spring bulbs are dormant. 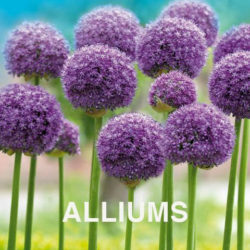 Some bulb plants with a strong vertical aspect such as Alliums and Tulips might look good as part of a formal planting but many other bulbs look better in a natural planting style. For an informal look, planting in “amoeba” shapes in odd numbers works well. You could also try tossing a bunch of bulbs in the air and planting them where they fall. The smaller the plants are, the more you will need to get a good show. 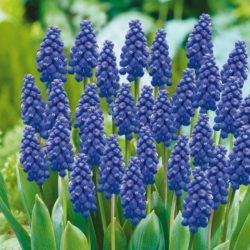 Animals that snack on bulbs need to be considered while planning your bulb plantings also. If certain animals are a problem in your area, look for bulbs that they don’t like – there are repellents you can try but although it will limit your selection it’s much easier to plant something less tasty. For example in my garden squirrels are a big problem but there are no deer, while other neighborhoods have many deer. Squirrels that dig up bulbs might be deterred by a wire screen placed over the bulbs and just under the soil. This takes some effort and planning but is a lot less trouble than constantly applying repellents. Make sure the holes in the screen are big enough for the plant stems to get through without allowing access to the bulbs. Schnarr’s sells plastic-coated wire mesh which will last a lot longer than uncoated wire. I’ve heard that squirrels can smell bulbs. In case this is true, you could try placing the bulbs in the holes with tongs to avoid getting the bulb smell on your gloves or changing gloves after you handle the bulbs so you don’t get the smell on the soil and other things. If you discard any bulb parts in the compost such as some of the papery sheath that falls off the bulb, make sure your pile is not near the bulbs. I don’t know for sure if this helps but it’s a small effort that might pay off. When planting, the hole should be big enough to accommodate the bulb without having to jam it in. If you can find spacing and depth recommendations for the specific plant, use those guidelines. If you are not sure make the hole thrice the depth of the bulb and space them apart the the same distance (thrice the depth of the bulb) . It’s better to plant a little too deep than a little too shallow because a too-shallow planting can hinder blooming in some bulbs. The orientation of the bulb is important – the root side needs to point down. Discard any bulbs that are mushy or moldy. Water in your new bulbs well while planting and give adequate moisture through fall so they have a chance to grow some roots before deep cold sets in. Do you have any bulb plants in your garden that are not winter hardy? Depending on the species they may need to be dug up and stored for winter before the first hard frost. Other plants such as Dahlias, Cannas and Pineapple Lilies can be overwintered by putting a circle of mesh around the plant and filling it with loose mulch 1-2 feet deep. Look up the guidelines for your particular plant if you are not sure. To store non-hardy bulbs that need to remain dormant over winter, after digging, divide and clean them. Let them dry out then dust them lightly with sulphur powder to prevent rot. Pack them with peat moss or wood shavings in a crate or box and store them in a dark, dry, cool location. Make sure the bulb storage area is away from stored fruits and vegetables so the ethylene gas emitted by the ripening fruits and vegetables does not harm the bulbs viability. Replant in spring after the last frost. For tender bulb plants that do not go dormant, repot in a container. Trim off any old foliage but leave the good foliage. Keep evenly moist in a well-lit warm environment. 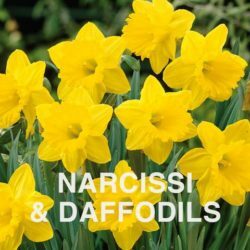 Here are links to some specific planting and care guidelines for bulbs that we sell at Schnarr’s. 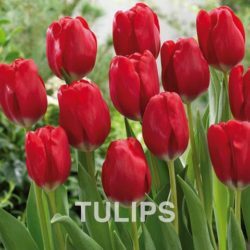 The bulb offerings at each of our stores differ somewhat so call ahead to check on stock if you want a specific plant.